Describing Do Nothing Till You Hear From Me as “a rather disgruntled rant at the dystopia we’ve created for ourselves and our children”, founder Nick Beggs barely scratches the surface of a début album whose tracks are a bold, moody and often cutting set of observations about the times in which we live. With both the lyrics as well as the music ranging from the intense and forceful to the satirical and playful, this deeply perceptive and intelligent album is a well timed and thoughtfully provocative warning to us all as we head into 2016. The question with which this album wrestles is how it is possible to be ourselves whilst constantly being swamped with so much (dis)information and living in the midst of so many loudly competing voices vying to be heard. The world is not what it seems; governments and politics, business and economics, social media and technology, religion and religious leaders all try to shape, influence, warp and distort what we hear, what we see and what we believe. In the process they deflect attention away from the things which ought to really matter – the interests, values and priorities which lie at the heart of who we are, how we live and the personal relationships we share with others. 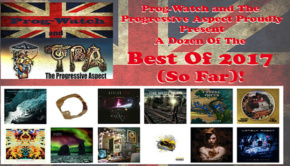 How we rise above these forces and influences is what is carefully explored in refreshingly honest and consistently poignant song writing spanning 11 tracks and lasting just under 60 minutes. 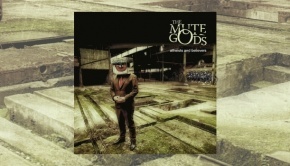 It also explains the thinking behind the selection of band name, The Mute Gods. Beggs takes particular aim at the rise of religious fundamentalism and the self-appointed voices of judgement and condemnation who take centre stage in the news and across social media. The voices of reason, of balance, of compassion are crowded out, subdued and silenced. They are muted. 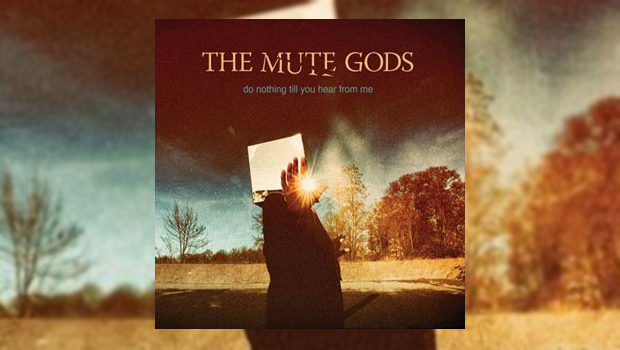 The formation of The Mute Gods is a bold attempt to “address this imbalance” and provide a vehicle which can challenge the dominance of these voices and influences. Written primarily over a period of two years whilst touring extensively with Steve Hackett and Steven Wilson, that challenge is courageously delivered across a surprising, but nevertheless engaging diversity of styles and moods. Each track is a distinctive vignette to the issue being tackled: ecological sensitivities mingle with internet trolling, moments of personal regret and self-recrimination sit uneasily alongside the dark ideas buried deep within ourselves. Yet far from being just a disparate collection of songs, the strength and boldness of the song writing ensures they all manage to come together as a reasonably coherent set of political and social comments. 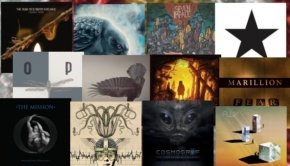 The music is no less diverse and expansive. Beggs is joined by long-time Steve Hackett band member and touring companion Roger King on keyboards (and I challenge anyone not to hear time-point 3:00-3:15 of Swimming Horses and tell me that’s not pure unadulterated early Genesis! ), who also produced and mastered the album. The line-up is completed by Marco Minnemann on drums, with whom Beggs also works as part of Steven Wilson’s band. It is an impressive combination of hugely talented musicians who bring a clear sense of passion, dedication and commitment to the music. 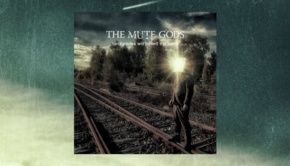 Praying to a Mute God (Track 2), Feed the Troll (Track 4), Your Dark Ideas (Track 5) and Mavro Capelo (Track 10) are an intense mix of heavy prog, strongly discordant in parts, highly adventurous in others, with dissonance and an almost overwhelming sound stage providing a bleak and moody atmosphere to difficult lyrics. Contrast these with Nightschool for Idiots (Track 3), Last Man on Earth (Track 6) and Strange Relationship (Track 8) which are wonderfully melodic and symphonic in tone, the music gentle, the vocals harmonic and the feeling is much lighter and more gently pitched. You don’t always need a sledgehammer to crack a nut: withering criticism and mocking self-condemnation don’t always need to be shouty and harsh. But then contrast both of these to Do Nothing Till You Hear From Me (Track 1), In the Crosshairs (Track 7) and Swimming Horses (Track 9), songs which appear to have a more mainstream feel to them. The rhythms have an alternative rock, almost heavy pop orientation with a big, wide open sound, oriental riffs and refrains and a solid, driving tempo. Nothing will prepare you for the final track: Father Daughter (Track 11). I admire the courage it took to write this song and even more so the willingness to include it on this album. A duet sung between Beggs and his daughter Lula, it speaks of the difficulties fathers experience all too often in trying to maintain a relationship with their children whilst also striving to hold down a job and meet other familial and fiscal responsibilities. It is delicate, subtle, honest and, resonating deeply with this father, powerfully moving. With guest appearances and contributions from keyboardists Adam Holzman, Frank Van Bogaert and Ricky Wilde, drummers Nick D’Virgilio and Gary O’Toole, as well as Rob Reed, Do Nothing Till You Hear From Me is a no-nonsense, no punches pulled commentary on life in the 21st century with music which is at one and the same time delightfully disparate, energetically forceful and sensitively responsive. You get the impression Beggs is enjoying finding his wings as a main songwriter; off the back of such an enjoyable and dynamic début album let us sincerely hope he continues giving musical voice to his disgruntled observations.